ST. PETERSBURG, Fla. - Canadian tennis player Eugenie Bouchard was named the WTA's most improved player of the year on Tuesday. Bouchard reached the semifinals at three of the four Grand Slams this year and made it to the final at Wimbledon last summer. She became the first Canadian singles player to reach a Grand Slam final in the modern era. Bouchard, 20, rose as high as No. 5 in the world rankings this season and also qualified for the season-ending WTA Finals. "My goal is to try to improve every single day, and I feel like I did that this year," Bouchard said in a statement. "But while I'm proud of my accomplishments, I've already set new goals I want to strive to reach next year. "I look forward to continuing to improve." Bouchard, from Westmount, Que., earned US$3.22 million in prize money this season and had a 45-23 singles record. The world No. 7 defeated Karolina Pliskova in Nurnberg, Germany last May for her first career WTA title. Media and fans vote for the WTA awards. 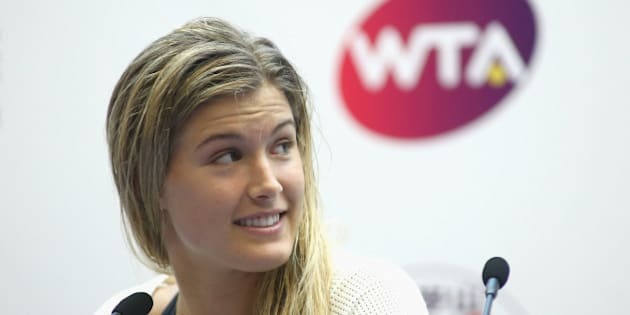 Bouchard easily won both categories — she received 45 of 58 media votes and 49 per cent of fan votes to finish well ahead of Pliskova at 23 per cent.